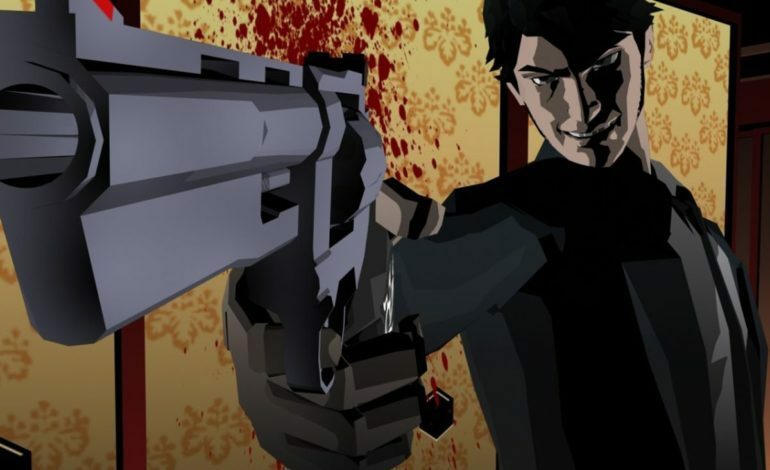 During a 20th anniversary celebration stream for Grasshopper Manufacture in late May, founder Suda51 informed viewers that a remastered version of the 2005 cult classic killer7 (generally written in all lowercase) would be released sometime soon. As it turns out, “sometime soon” meant “yesterday” as killer7 made its surprise debut onto Steam yesterday. killer7 was first released back in 2005 for the PlayStation 2 and Nintendo GameCube. The game takes place in an alternate timeline in the near future where world peace has been achieved through the ban and destruction of nuclear weapons and research (and the Internet, which may be too big of a price to pay). However, the peace is shattered when a group of strange creatures known as “Heaven Smiles,” lead by the mysterious Kun Lan, launches a series of terrorist attacks across the world with no discernible motive. To fight them, the American government calls upon the Smith Syndicate (also known as the killer7), a group of specialized assassins that are all split personalities of the elderly and wheelchair-bound Hartman Smith. This only scratches the surreal mind-screw of a story this game has. The gameplay goes the other route with a uniquely streamlined fashion. Characters move along predetermined paths, and can aim their weapon in a Resident Evil 4-style first-person mode by holding down a button. While aiming, players press another button to scan for Heaven Smiles, which are invisible until scanned. Players can use the blood collected from defeated Heaven Smiles to upgrade the various characters. All drawn animation has been upgraded to fit a 16:9 screen ratio.